Display your treasured collection of exotic plants in style on beautifully crafted plant stands and perk up the ambiance of your space in minutes. Adding an inviting hint of greenery to a room is quick and easy with our collection of indoor plant stands. If you have a garden outside your home or a front yard, place decorative outdoor plant stands there and beautify the decor. Identify the style you prefer and choose the colors and finishes that will lend a wonderful accent to the decor. You will surely come up with novel ways of decorating your space with a your favorite plants with the diversity of plant stands available including but not limited to wood plant stands and pedestal plant stands. If you are wondering how indoor plant stands differ from outdoor plant stands when they are very similar in terms of design and decorative value, you must know that the major difference lies in the material used for their construction. Outdoor stands need to brave the elements of nature and require a durable construction using one of the following types of fabrication: wrought iron, resin wicker and powder-coated steel. These materials are exterior wet rated and make the plant stands well-equipped to withstand inclement weather conditions. The exterior stands need to have guard rails and heavy bases so that your prized plants stand tall when it gets too windy outside. 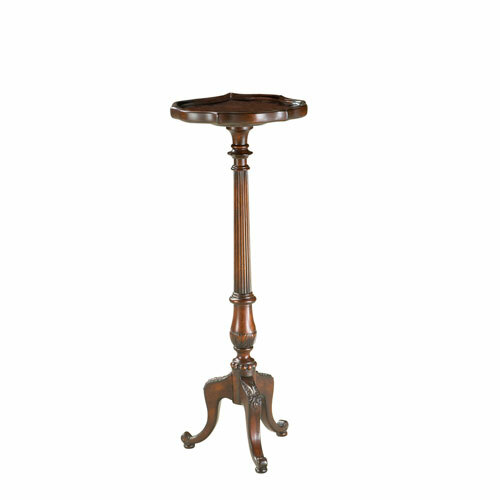 Marble top indoor pedestal stands lend an ornamental touch to any dull space in your home. They usually feature a heavy base accentuated by curvy designs and radiant finishes to be the perfect place of display for your favorite plants. The white MDF and particle board tall plant stand for indoors is functionality-inclined but does not compromise on the aesthetic value. Minimalist design and clean lines are the hallmarks of this stand and a three-tier construction ensures there’s good amount of space for your organizing your potted delights. Typically, these materials will make the stand lower in price. Outdoor Iron Nailhead outdoor plant stands exude rich finishes and are extremely durable which is owed to their resin wicker or powder-coated steel construction. Spacious enough for fitting several plants, these stands have intricate detailing and show off beautiful curves to stand out as the focal points of your exterior decor. Resin wicker exterior plant stands are simple yet great for your garden or patio. With basket like tops and shelf lower down, these stands accommodate your growing plants and give the pots sturdy protection against strong winds. Plant stands are available in beautiful finishes and are made of several materials, of which wood and metal are the ideal choices. All wooden plant stands are well-suited for indoor use. Boasting antique or rustic finishes, a wooden body design makes a wonderful planter stand for indoor use. There are also outdoor stand made out of a wood, but it has to be of a special type. Metal plant stands are built keeping the outdoor environment in view. They are heavier than wood and stay unwavering when conditions become windy. Powder coatings and sealants on wrought iron plant stands help them endure the elements and stand on display as sculpted masterpieces. Wood construction plant tables take the decorative value of your space notches ahead. Marble top and wooden base combine in slender, eye-pleasing designs to create a lovely surface for single potted plants. If you are fascinated by the majestic appeal of intricate metal designs, opt for powder-coat finish steel stands that are durable and equipped to withstand adverse weather conditions. For displaying multiple pots in one stand, you may consider resin wicker construction boasting ample shelf space. With powder coat finishes, these foldable frames are UV resistant and do not warp with use. 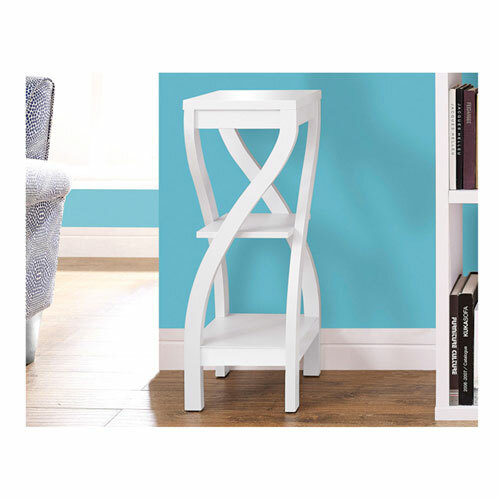 A unique plant stand is the perfect embellishment for your space and creates a layering effect on the decor when you use two or more of them in different sizes. The idea is to keep the potted masterpieces on taller plant pedestals and show them off to your guests. For creating a living room statement, choose a decorative plant stand and it will lend the right accent to your favorite plant. Keep in mind that a plant stand does not have to be ornamental. A plant stand table in an unfinished wood with clean lines and minimalist appeal is simple yet sophisticated enough to put the spotlight on your beautiful plants. Form and function play a role when selecting this often utilitarian furniture piece. Our customers have provided rave reviews for the plant stands they have picked up from our collection. One of our esteemed clients mentioned that his big potted plant looks great placed on an unfinished wood plant table adding that it is a sturdy piece. Another customer loves the ease of assembly and the rich dark color of our cherry flower stand. Our orient-inspired fishbowl stand is a hit as it displays a vase with a favorite plant beautifully. The wrought iron plant stand from our exquisite collection has received raves with the value it provides. Plant stands are artistic additions to the home decor of those who are very fond of growing houseplants. With unique plant stands available in our collection, there’s never a dull moment when you browse through our engaging collection. Let the decorative plant stands you choose work as a reflection of your personal style and create a statement in the interior or exterior of your home. Showcase your favorite greens in an ornate plant stand if your style leans toward classic, Victorian, transitional or Mediterranean. Distressed finishes in light, earthy colors look natural and are indeed symbolic of the rich Victorian age. They carry an air of sophistication around them and show off smooth curves and pedestal designs. Industrial style plant stands feature metallic construction and functional designs such as a set of three round display stands, each of which individually clip on to your table. Two tier design plant stands made of resin wicker look beautiful in the patio or front yard and are a true classic in terms of the charming woven detail they showcase. These transitional stands offer a fine balance between performance and aesthetic appeal. Ivory finishes boost transitional style of decor with metal plant stands boasting intricate scroll detailing. Plant stands and tables are a necessary in homes today for the well organized who also require a decorative accent piece to either indoor or outdoor spaces. Our selection of unique designs in our vast collection of truly functional plant stands to cater to your diverse needs and preferences. Choose stands after a careful consideration of design, style, size of your potted plants, material used for construction and indoor or outdoor fitment to ensure durability. When you have a bunch of favorite plants, consider having an interesting medley of like-style designs in different sizes to create a focal point of interest in your space. 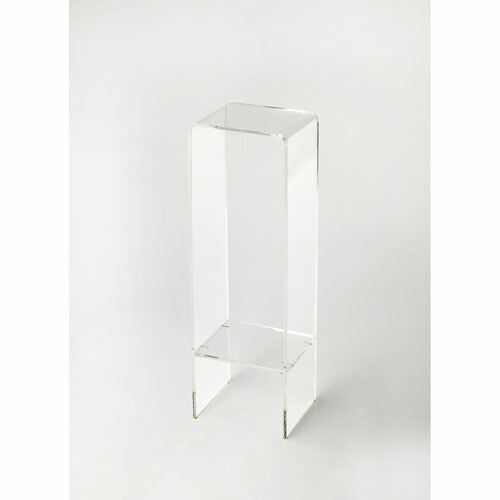 Get started on a home beautifying project today with some of these alluring plant stands available at our online store!